Thank you so much for the initial response to the problems at Escape Artists. As per several requests, this is the TL:DR version of the situation. 1. 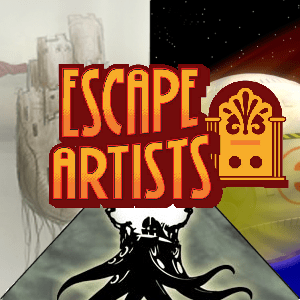 Escape Artists has a major cash problem. This has been caused by a massive increase in the amount of listeners which has not been accompanied by an increase in donations. In fact those have started to decrease. This situation is unsustainable and we will close at the end of 2013 without a major increase in subscriptions. 2. Click anywhere on this line for the 44 minute meta-cast from all three shows explaining this. 3. We need money. There are two ways to do this either by donating or subscribing. One off donations are lovely and we’re incredibly grateful. Subscriptions cost you much less and raise our base level of funds on a monthly basis. Those are going to help much more in the mid term. 4. This is Escape Pod’s Homepage. Click on the DONATE or SUBSCRIBE buttons on the right hand side. 5. This is Pseudopod’s Homepage. Click on the DONATE or SUBSCRIBE buttons on the right hand side. 6. This is the Podcastle Homepage. Click on the DONATE or SUBSCRIBE buttons on the right hand side. I know this is inconvenient and I’m sorry. Any other link will time out to a PayPal login. That’s it. Thanks for the help.